On a recent trip to India, I was quite fascinated by the lack of respect for the law there from a number of perspectives. For a country that’s over-burdened with an inherited bureaucracy, the most obvious flouting that strikes one is corruption. Corruption in India, however, is not always deemed acceptable practice by the public – certainly not by the likes of Anna Hazare, a prominent anti-corruption activist that even went on a hunger strike in protest. Stay a little longer in India, and one is sure to notice a more publicly acceptable flouting of the law: specifically those pertaining to Intellectual Property Rights (IPR). The IPR challenges in India span across a number of different sectors including technology, education and more recently coming to the fore, pharmaceuticals. In the technology sector, even Microsoft has all but surrendered to piracy of their Windows platform in India. They literally cannot afford to enforce the use of genuine product there given the enormous size of the market – they would risk a move of both usage and development to alternative platforms which would likely kill their international business model. With respect to education, the somewhat controversial Nobel laureate Amartya Sen famously commented in a public discussion with South African, then finance minister, Trevor Manuel, about the taxes on books – specifically about how short-sighted such moves are when a primary goal of developing nations such as India and South Africa is to promote and push education of the masses. He argued that government should be doing everything possible to facilitate increased penetration of books and knowledge. One wonders what comment he would have given about the free copying of textbooks and other academic material in India. Such moves certainly do help promote education and bring otherwise expensive texts within reach of many who would otherwise be unable to access them. More recently, the Indian Supreme Court’s decision to reject a motion by Novartis, a Swiss pharmaceutical firm, to patent an updated version Glivec has raised further IPR issues in the Indian market. Glivec, their cancer drug, stands to help many more people if it remains affordable – something that will clearly not be the case had the patent gone through. This however was not the reasoning that drove the decision. India has been exceptional in ensuring that frivolous patents applications are thrown out, a move that is sure to anger many in the industry. The decision obviously raises questions about the value of research – particularly for pharmaceutical companies who spend millions of dollars before they arrive to the market with an acceptable product. 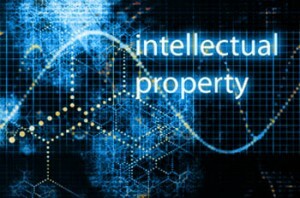 If they cannot protect their IPR with respect to their research there is no incentive for them to conduct the research in the first place – others would simply be walking away with profit at their expense – an unacceptable equation for any commercially viable business venture. So what is the acceptable rule of thumb here. Should IPR be neglected if there is clearly mass public benefit in doing so? If so, how does one factor in the social impact in IPR related court rulings. The answer is not quite that simple. Book publishers and technology companies, like the pharmaceutical companies, are profit making enterprises. For them to continue doing what they do, they need a financial incentive – the social incentives are clearly not sufficient. Using price discrimination for countries like India – i.e. charging them less and the likes of the UK or USA more, is difficult if not impossible to monitor and manage commercially. The likely solutions are government subsidies to these enterprises, or these companies refusing to engage in business with certain markets. Both of these are fraught with complications. Possibly the best solution would be to maintain drug prices at an acceptable level that keeps the medication within reach for most – now which pharmaceutical company would be altruistic enough to even consider that option? Other laws that are being continually flouted in developing countries include those around online gambling. This is the case not only in India but is evident with the many South African online casino options available. This is despite the landmark ruling against a local online casino, Piggs Peak, based out of Swaziland. The problem once again lies not in the law but the apparent lack of interest or incentive for government to enforce them. Frank, you are oversimplyfying the IPR threat due to Novartis judgement. If you are concluding that comapnies spend mony for the crystal modification or stereo isomer synthesis of the patented molecule, then you are doing judgemental error as well as you sound ignorant of chemistry and patent detailing. It will take one reaction parameter modification and then detailed analysis not costing more than 100 US $ to find out new stereo isomer. Do you expect these companies take you or your friend or family member for ride and fleece you for 17000 US $ per person for individuals cure of an ailment???? This is the most ill informed article by any standard. It would be interesting to know the color of the skin of the author before commenting sensibly on his report. If it is white I personally wouldn’t acknowledge any intellectual insight but a preconceived hate for all developing nations. Novartis changed slightly a “ph” balancing chemical in the old drug and presented it as a new one only to further prolong its expiring patent. (This is something done widely by companies althroughout the world and such demands are rejected at similar rates, this has nothing to do with India at all). @AW – you seem to be implying that there is a direct correlation between skin colour and intellectual insight. Why not simply criticise the argument on its own merit? Allow me to guess though: you are South African? @Ramesh – I don’t think that was the implication of the article. Pharma companies don’t just spend $100 to develop a new drug, they literally do spend millions before the original product is launched. It’s in their (commercial) interest to protect that investment as much as they can so I don’t blame them for trying to make some minor mods and reapplying. Whether that is ethical or not is another question altogether… not quite sure what part of the article you found ill-informed? Frank, you may be surprised to learn that Novartis gave away their cancer drug to 95% of the Indian Cancer Victims at a cost of 1.7 Billion USD. Can’t get cheaper than free, unless of-course, you paid them to take it.